Based within the London Borough of Newham, Building Futures aimed to raise children’s awareness of architecture and other careers in the built environment, while also delivering learning that is accredited through an Arts Council England Arts Award. Taking place during the London Festival of Architecture in June 2018, the project focused upon highlighting the art of architecture among local children aged 8 to 10. Children visited the Museum of London Docklands and learnt about the history and urban fabric of the area, before taking part in a design workshop led by an architect. The children then designed their own town, using recycled materials to build integrated models of schools, hospitals, community facilities and more. These designs were subsequently judged by industry professionals from local employers, who also talked to the children about their careers. 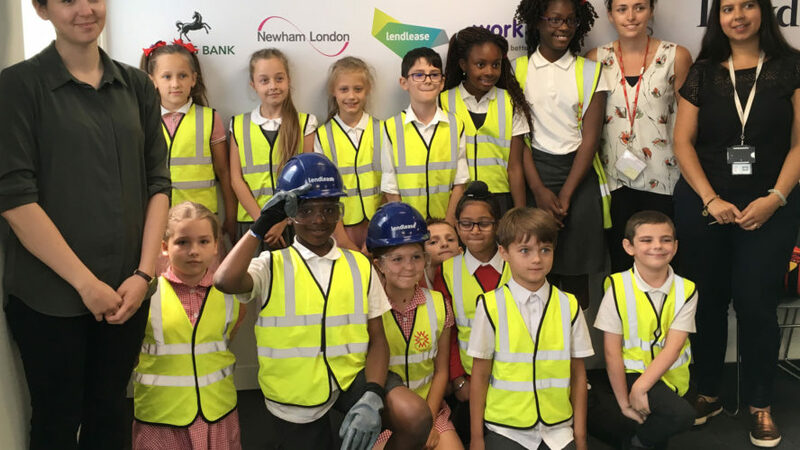 A group of children from the same schools also visited our classroom at the IQL Lendlease offices on the Olympic Park, to see the designs for a major development in their community and speak to the architects involved. The aim of the Building Futures project was to raise children’s awareness about developments in their local area and how they can be involved through a range of careers including architecture. In this socio-economically deprived part of London, there is a need to raise aspirations and link children and communities to the new developments taking place in their area. Such links serve to bolster civic pride and give local young people sense of ownership of the change taking place in their neighbourhood. An impressive and diverse range of partners from different sectors supported the project, led by the London Borough of Newham. Those partners included Lendlease, London Festival of Architecture, local charity 15BillionEBP, the Museum of London Docklands, local architects and local schools, with funding also provided by Lloyds Bank. The approach pursued by the project was innovative, in providing school children with an opportunity to learn and develop new design skills within different real-world settings outside the classroom. The initiative also allowed the children to embrace and better understand changes taking place around them. 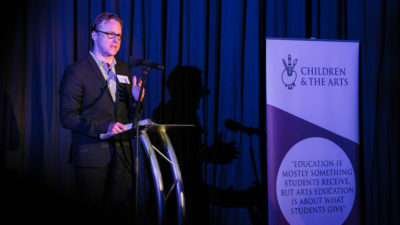 In terms of impact, the project was mapped against the Art Council England Arts Award and 172 children aged 8-10 successfully achieved the award (a 100% pass rate). Enduring links between the partners involved have been developed, while firms working on local building projects have been able to engage and build links with the communities around them.